One of the UK’s leading Steel Box Pallet Manufacturers. Simple in design, these fully or partially contained, stackable box pallets are a cost effective solution to the storage of your bulky items. 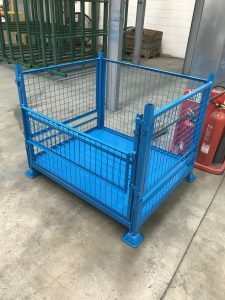 Box pallets are fabricated from steel bases with your choice of steel, mesh or wood sides.They can be manufactured with half drop, fully lift out or fully collapsible sides to make storage and transportation much easier. 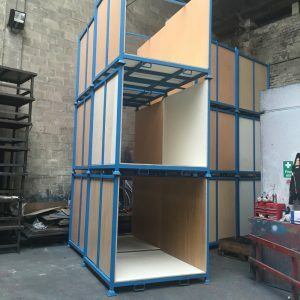 These pallets are also raised off the ground to enable easy access via a forklift so that the pallets can be moved and placed into vehicles if needed. 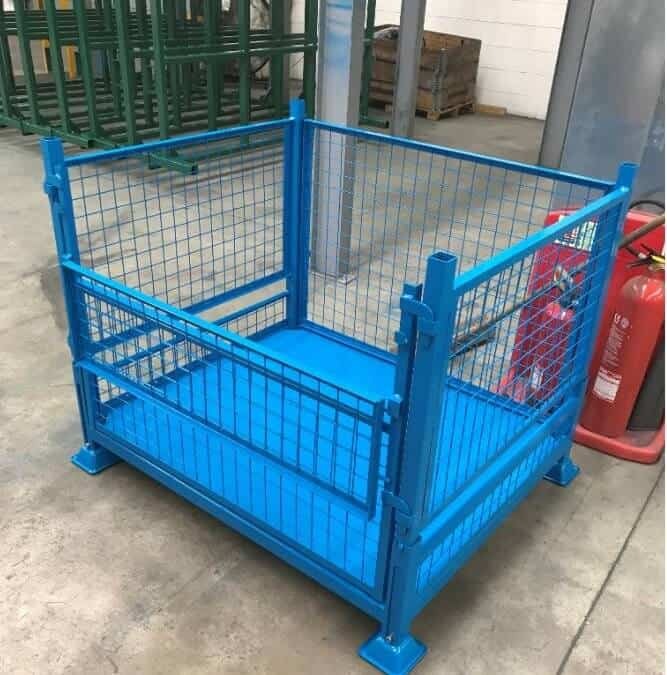 As with all metal stillages or metal pallets produced at Range Storage Equipment Ltd we can spray or powder coat to match your companies own colour scheme; making them unique in design to you. 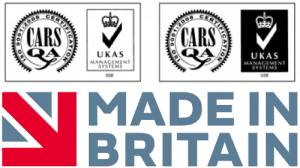 At Range Storage Equipment Ltd, everything is designed and manufactured to the highest specification in our own UK based factory, using our own state of the art machinery. This means we have complete control over quality and lead times. All our products are built to last. 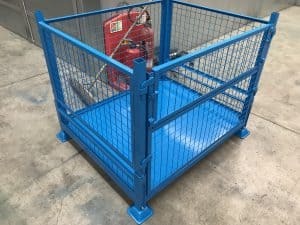 Range Powder Coating have a brand new state of the art powder coating oven which is one of the largest in the UK, and can apply powder coatings to a wide range of metals & components at very competitive prices. There is more to Powder Coating than just applying the powder & putting the parts in an oven, the most important issue is Pre-treatment, if the surface is not free of grease, oils, rust or scale then a quality finish is impossible to achieve. Every single item we powder coat is carefully pre-treated before the powder coating process begins. Maybe you would prefer your product to be brightly coloured or maybe it’s the durability that’s important. Whatever the reason RPC can adapt our coating to suit your needs.